In part 1 we showed why submitting articles to article submission sites is of little value unless they are high quality, useful articles. We suggested not just submitting articles to submission sites as you can get much more value by using them on your site too or by “selling” article ideas to industry online magazine and news sites etc. We began outlining our Best Practices for Article Marketing. In this article we’ll show you how to build and use a media list and how to find quality article submission sites. Here’s an article on American Express’s OPEN forum, by Guy Kawasaki with some tips on using Linkedin to find new customers and vendors, keep in touch with them, help build your reputation, even find funding. 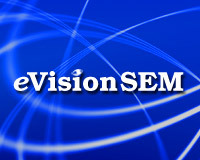 Web marketers often submit articles to article submission sites to improve search engine rankings. Does this work? We cover “Best Practices for Article Marketing & Submissions” – Developing & marketing articles to increase awareness, reputation building, increase targeted traffic, help make a web site more useful while adding content to a site for search engines, and to help improve search rankings.